I earned my Doctor of Dental Surgery from the Baltimore College of Dentistry at the University of Maryland. I graduated with honors in Geriatric Dentistry and Practice Management. I have been practicing dentistry since 1995 and am a member in good standing of the American Dental Association, and the Pennsylvania Dental Association. I also donate time and service to area schools and the community. To stay abreast of new techniques and technology in dentistry I seek opportunities to continue my education. 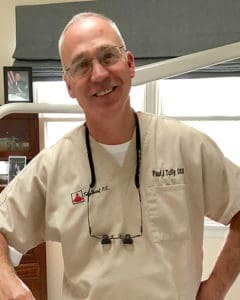 My goal is to make your visit to Tully Dental comfortable while creating for you a healthy and beautiful smile.